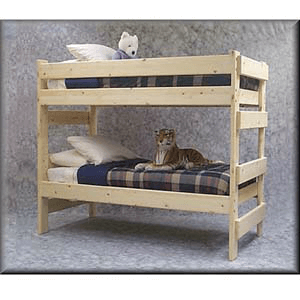 Make The Best Use Of Your Limited Space With This Bunk-Bed In Unfinished Solid Premium Douglas Fir.. All Rails And Ladder Rungs are made of 2 ft. x 6 ft solid Premium Douglas Fir.. The Entire Bunk-Bed Is A Freestanding Bunk-Bed That Comes As A Ready To Assemble Kit. The Mattress Support has the following Weight Capacities for each Bed Section: Twin Bunk Bed: 300-lbs, Full Bunk: 400-lbs, Queen Bunk: 400-lbs. 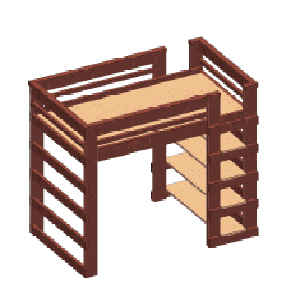 *You Can Choose To Add 100-200-lbs Weight Capacity Per Bunk On Any Bunk Bed - Scroll Down To See These Options. There Are Two Leg Heights Available, The Regular 69 In. Or The Extra Tall 83 In. Legs. We assume you will use an 8 In. If you need more clearance you would need to use a thinner mattress and let us know the size. The bottom bed clearance off of the ground is 14.5 In. 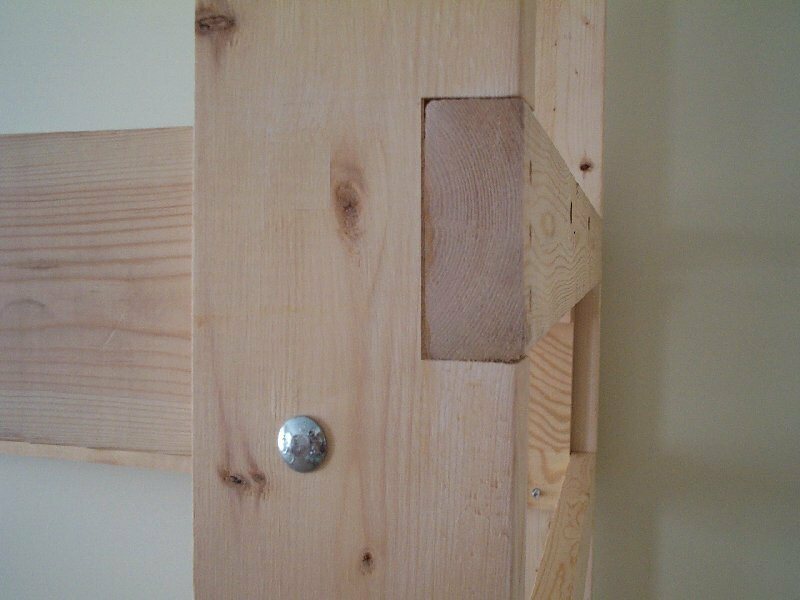 Give This Bunk-Bed Superior Support And Stability. 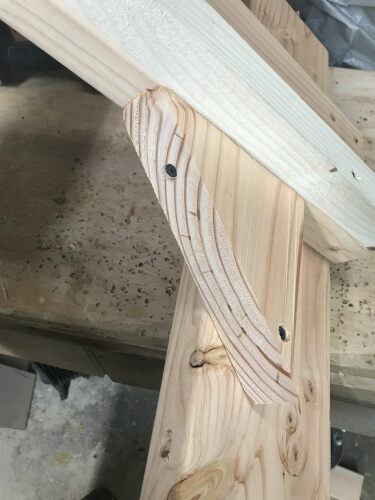 The Integrated (Notched) Ladders At Both Ends Enable You To Position The Bunk-Bed In Any Corner And Will Give You Full Access To The Front Of The Bunk. A Front Bolt On or Angle Ladder Are Also Available. We can also place the the Bottom Bunk On The Floor to give you additional space between the beds. Please indicated in the comment section If you would like that option at no additional cost. Total Shipping For The Bunk-Bed With Any Accessories: $ 150.00. 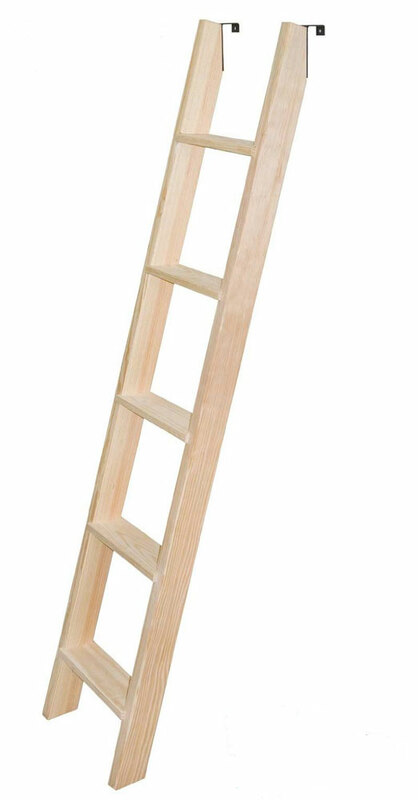 Please Scroll Down And Check Related Items For Important And Detailed Information On The Bunk Accessories Such As The Bookshelves, Ladder, And Desk.